In terms of educating people about the Sustainable Development Goals, what better place to start than with youth? Millennials (aka soon-to-be young adults who will be entering the workforce with just enough time to get stuff accomplished before 2030) will soon be calling the shots, and it is therefore vital that today’s youth are aware of the SDGs. 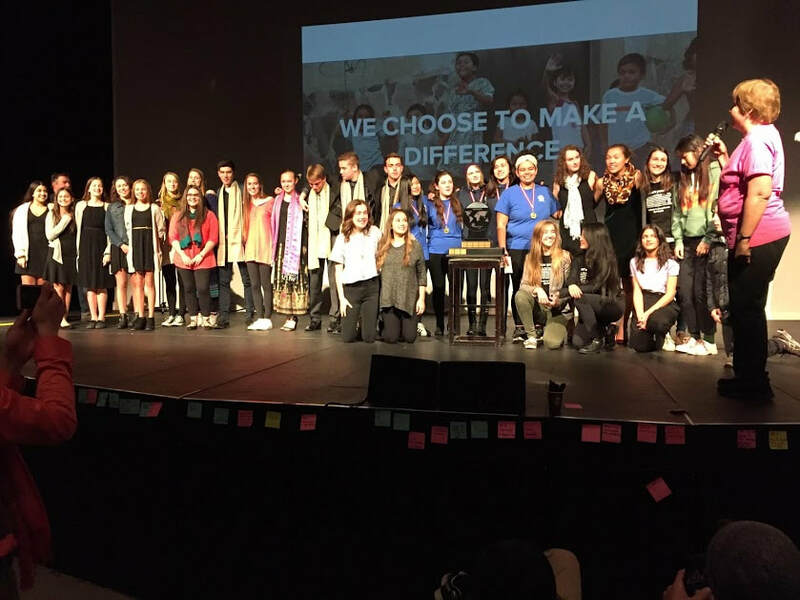 Global Citizen Kelowna has started a program to encourage high school students to engage with the SDGs and to allow them to develop a project that they are passionate about. The youth campaign, called “What’s My Number?” and also known as the “Sustainable Development Challenge” was inspired by a previous project called the Millenium Development Challenge which ran for 5 years. Carmen Denby, a former schoolteacher in Kelowna and one of the founders of this campaign, explained how it works. High school students who want to participate form teams of 2-6 people, and they pick an SDG that they are passionate about (hence “What’s My Number?”). The program coordinator then sets them up with a local NGO or charity whose values and projects align with the goal they have chosen. The students work with the NGO to identify a gap in their work and come up with an innovative project related to their Goal. The program not only connects the students with a relevant NGO, they also host an evening where the students have the chance to speak with local business people, philanthropists, and other professionals to ask questions and advice on a variety of topics relating to the project. Furthermore, Denby hosted a peer night in which she provided a venue and refreshments and the students came together to discuss their projects amongst each other. A pleasant surprise for Denby was seeing that students were not secretive about their projects, but rather open to sharing their ideas and hearing what their peers were up to; they were supportive, rather than competitive. After a rough outline of the project has been drafted a board reviews the project and narrows the teams down to the few that will continue to the final round. The groups that have been approved draft a comprehensive outline of their project to hand in, as well as present their project in a creative performance that the community is invited to watch. The creative method could be an interpretive dance, slam poetry, music, drama, or any other way they can think of to move their audience and make others passionate about the cause. At the end, the winning group receives $5000 toward the implementation of their project. This not only benefits the specific cause that is being supported through the project, but it has a positive outcome for the students involved as well as for the community at large. As Denby explains, it allows high school students to get engaged with sustainable development, get the opportunity to work on and present a professional project, and interact with different people and organizations. The winning project of last year’s competition is called ‘Take Two,’ and their initiative was to start a student volunteer-run plastic recycling workspace at their high school. They collect single-use plastic not only from their fellow students but also from their local community to be melted down in the workspace and made into new objects. They have started with four basic objects: phone cases, pendant jewelry, pots and vases, and decorative tiles and coasters, which they hope to sell online and at the Kelowna’s Farmers’ and Crafters’ Market. Denby is hoping that other communities can use Global Citizen Kelowna’s detailed and comprehensive manual to recreate this project. While their funding comes from a private donor, there are other resources that different communities can draw upon to come up with the prize money, whether it be private donors, fundraising or local government. Carmen believes the first year of this challenge (2017-2018 school year) was a success, as it fostered a sense of community and provided youth with the opportunity to do something they are passionate about while gaining important skills in the process. She mentions that lots of people in Kelowna have become interested in sustainability, and this was an excellent way to bring the community together for a positive cause. Global Citizen Kelowna is pioneering SDG engagement in Kelowna and has proven to be a proactive and positive committee member of GECCO, which is the BCCIC chapter in the Okanagan. They have gotten the community interested in sustainability while also educating youth. Although only one of the projects will win in the end, the competition itself encourages youth to learn about the importance of the SDGs and to think about different ways in which they could go about implementing them.